EXTREMELY FINE GEM. THIS SUPERB MINT NEVER-HINGED EXAMPLE OF THE 6-CENT 1895 WATERMARKED BUREAU ISSUE HAS BEEN AWARDED THE GRADE OF XF-SUPERB 95 JUMBO BY P.S.E. -- THIS IS THE HIGHEST GRADE AWARDED. EXTREMELY FINE GEM. THIS SPECTACULAR MINT NEVER-HINGED EXAMPLE OF THE 1895 10-CENT WATERMARKED BUREAU ISSUE HAS BEEN GRADED SUPERB 98 BY P.S.E. -- THE HIGHEST GRADE AWARDED. 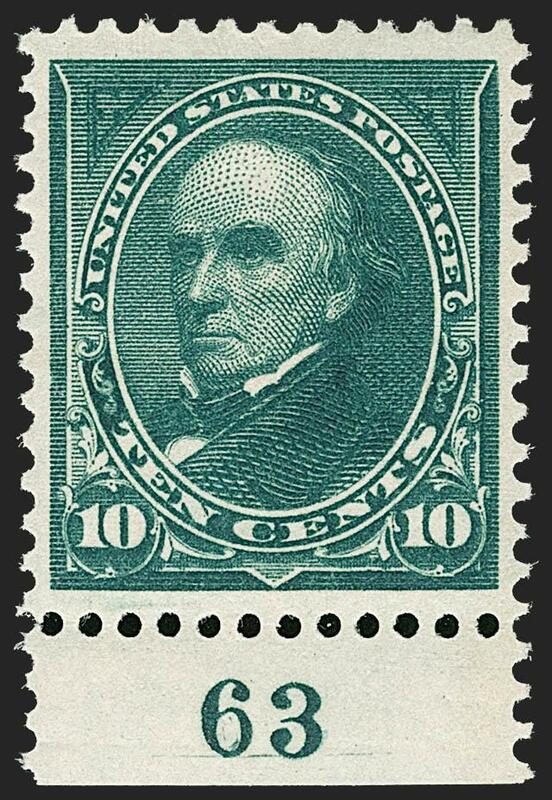 The 10c Green 1895 Issue with double-line watermark has an earliest known use of July 25, 1895. 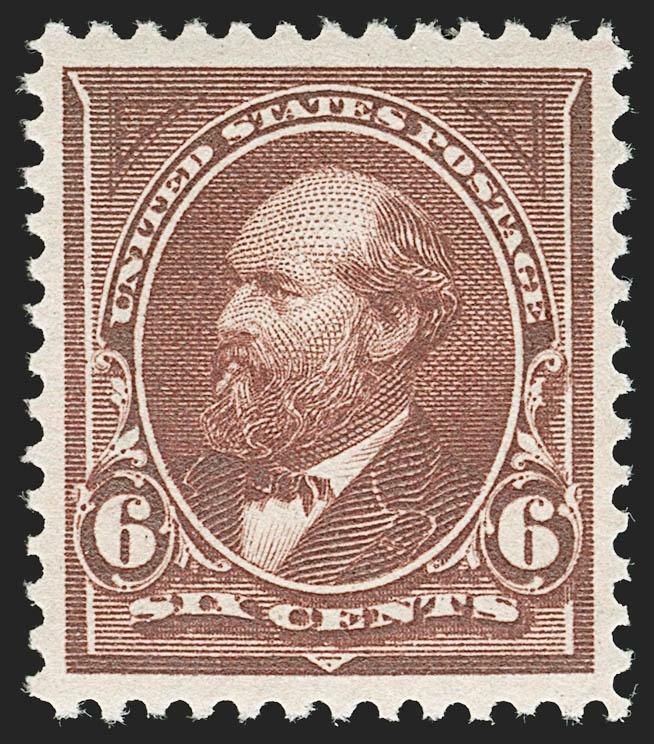 It superseded the 1894 unwatermarked Scott 258 and was subsequently replaced by the 10c Type I and Type II issues in Brown and Orange Brown (Scott 282C and 283) in 1898, during the color changes necessitated by the Universal Postal Union. 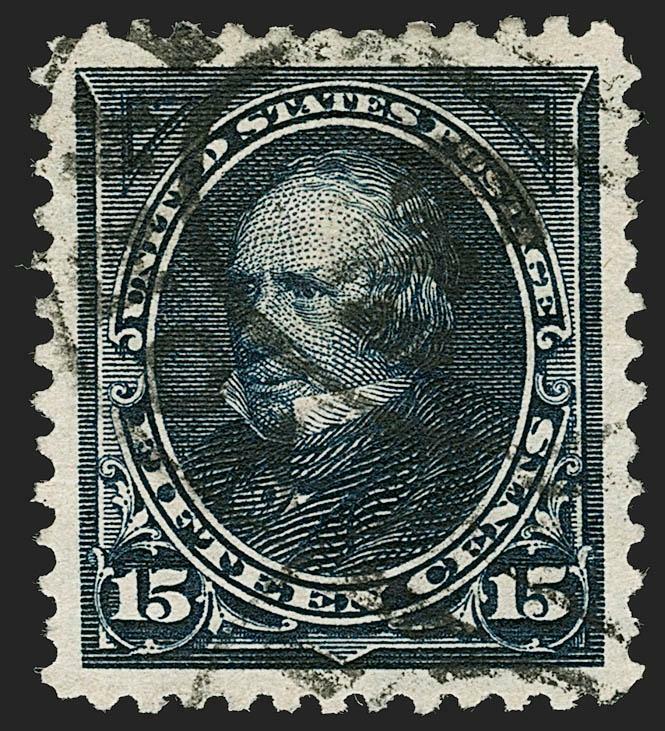 Examples of any of the 10c Bureau issues in Mint N.H. condition graded higher than 95 are exceedingly rare. 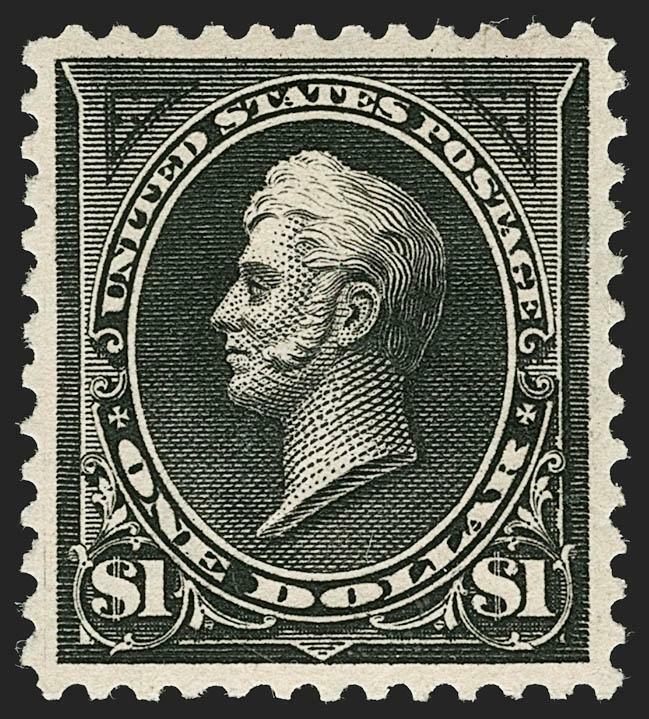 This is one of only two Scott 273s graded 98, while the other 10c issues each have populations of just one at 98 (one Scott 283a grades 100). EXTREMELY FINE GEM. 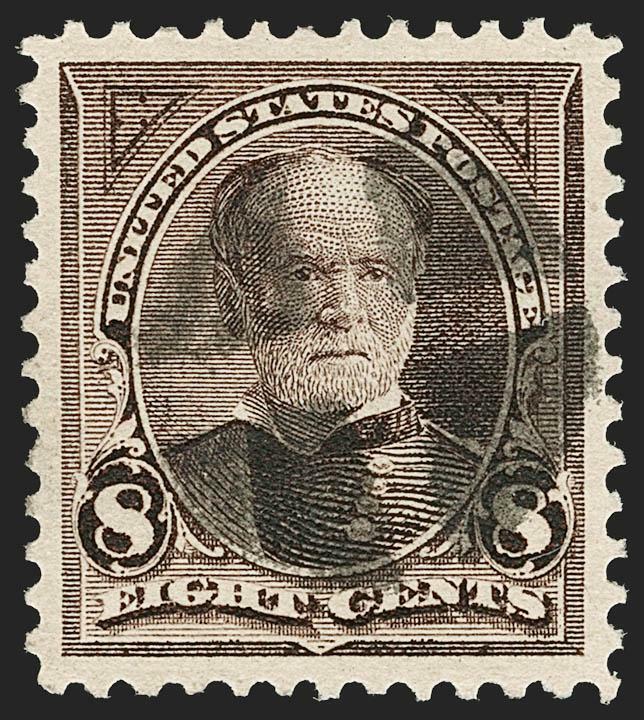 A BEAUTIFUL MINT NEVER-HINGED EXAMPLE OF THE 1895 15-CENT WATERMARKED BUREAU ISSUE. EXTREMELY FINE GEM. 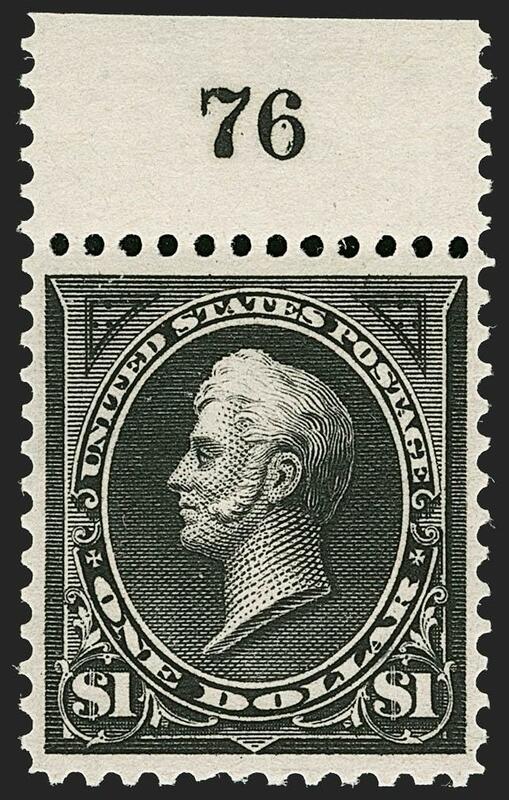 A SPECTACULAR ORIGINAL-GUM EXAMPLE OF THE 1895 $1.00 TYPE I WATERMARKED BUREAU ISSUE. THIS IS THE ONLY UNUSED SCOTT 276 TO ACHEIVE THE GRADE OF SUPERB 98 FROM P.S.E. EXTREMELY FINE. A BEAUTIFUL MINT NEVER-HINGED EXAMPLE OF THE 1895 $1.00 TYPE I WATERMARKED BUREAU ISSUE. EXTREMELY FINE. 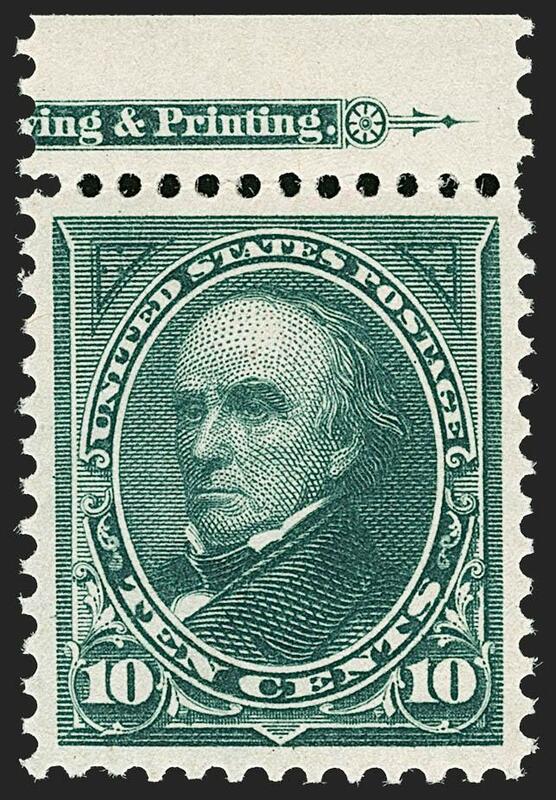 A RARE MINT NEVER-HINGED EXAMPLE OF THE 1895 $1.00 TYPE II WATERMARKED BUREAU ISSUE. ESPECIALLY RARE WITH THE PLATE NUMBER SELVAGE. THIS IS THE FIRST UNUSED PLATE NUMBER SINGLE WE HAVE OFFERED SINCE KEEPING COMPUTERIZED RECORDS. 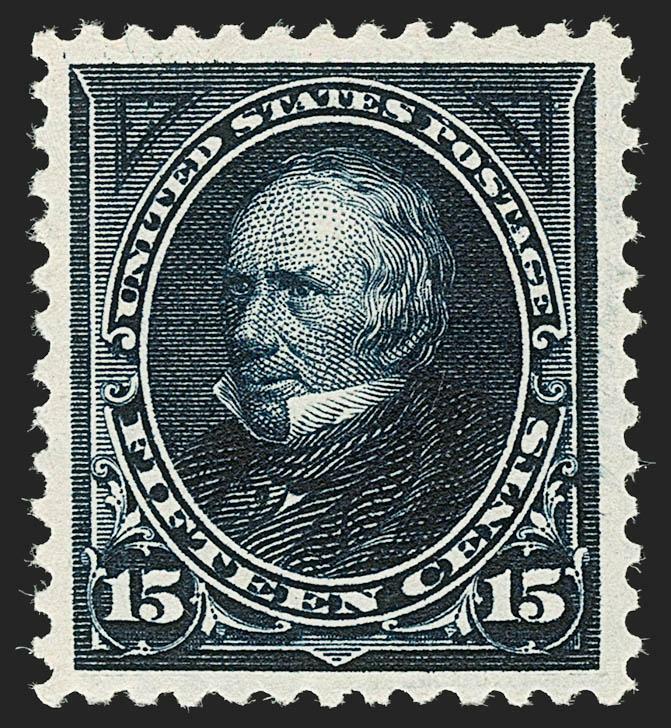 The Type II with plate number is only found on the right pane of the plate of 200 subjects. 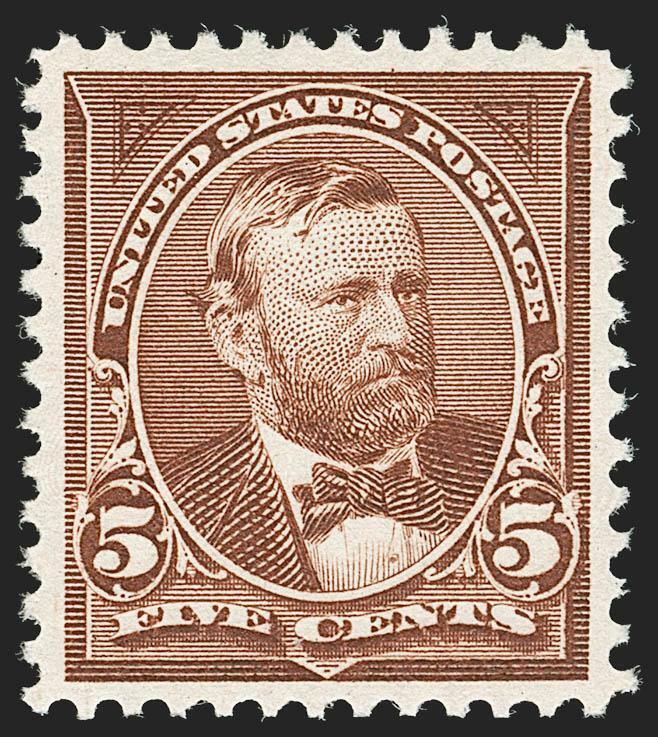 A review using Power Search shows we have never offered a single with plate number, and those contained in the five strips we have sold are all hinged. 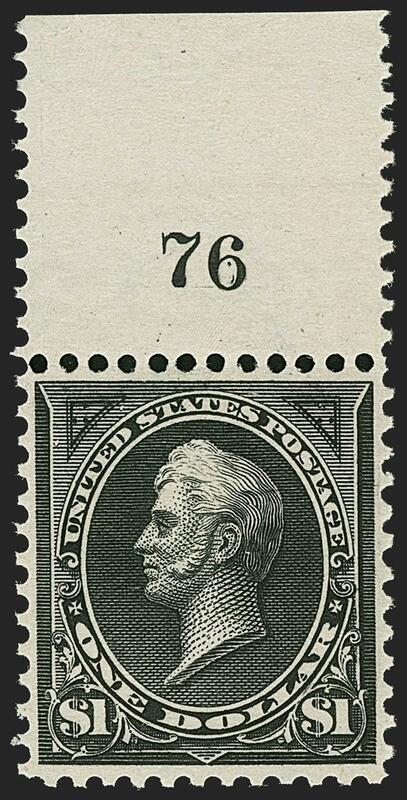 This is one of the rarest stamps of the issue to obtain in Mint N.H. condition -- we have only offered five other Mint N.H. singles since keeping computerized records (25 years), one of which was reperfed.